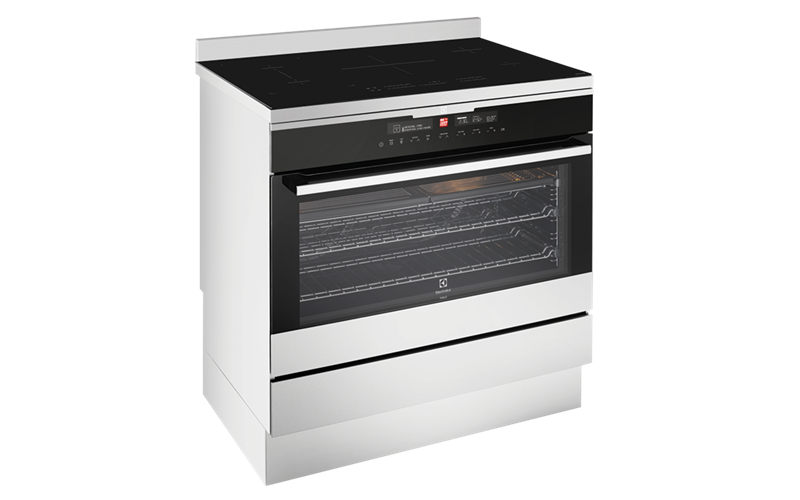 Stainless steel 90cm freestanding cooker is rated 3.5 out of 5 by 2. Bring two zones together when cooking with larger pots and pans with just one touch. Thanks to LinkZone, you enjoy the flexibility to control the way your hob is configured. Ideal for extra-large pots, the super-sized MaxiZone induction zone offers up to 5200 Watts of power in boost mode. Rated 2 out of 5 by Hamish141 from Rattling noise has developed Oven was working fine for the first year and a half, but then a rattling noise started randomly occurring when the oven is on Fan Bake setting. The noise is so bad, it sounds like the oven is falling apart! Very disappointed with the quality considering the price paid. 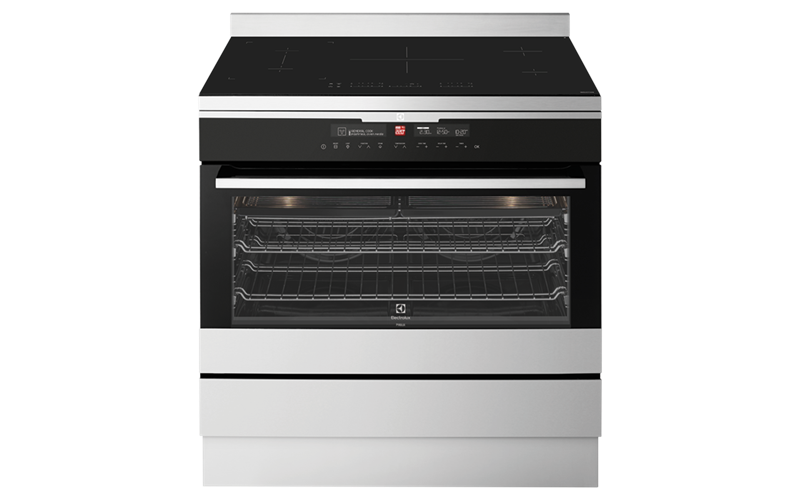 Aesthetically the appliance is great and the induction cooking is still working great.